I think the idea of machine intelligence crept into my consciousness when I was very young. I had visited the Museum Of Science And Industry in Chicago and saw on display a computer that you could play Tic-Tac-Toe against. And then a few years later I saw the movie, “2001: A Space Odyssey” in a movie theater with the intelligent machine, HAL. The intelligent computer referred to as Hal though in the movie “2001” was much more intriguing — it was portrayed as equivalent or better than a human in every way, albeit emotionless and amoral. I suppose though that those two childhood occurrences, the museum computer and the film computer represented on one hand, what was possible at the time and, on the other hand, what might be possible in the future. Being young though I assumed that the film was a reliable prediction of the future and thought that in fact that all of these things would come to pass by the year 2001. Historically, researchers have predicted that we would see human-level machine intelligence in about twenty years. This has been fairly consistently the prediction for the past sixty years. Well, 2016 now and no HAL. The bigger surprise though may be that anyone was even considering the idea of a thinking machine as early as the 1950’s. 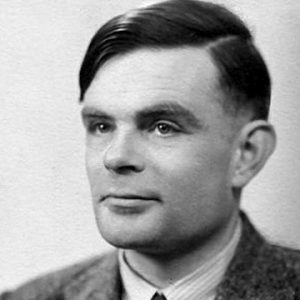 This was when Alan Turing, a famous mathematician and early computer scientist, published his paper called “The Imitation Game”. He asked, how would we know if a machine was intelligent? He suggested in fact that we might not know. Perhaps, he reasoned, the better question then is, under what circumstances might we ascribe human intelligence to a machine? To answer this question he proposed what has come to be known as The Turing Test. The basic premise is that an observer is allowed to interact with an entity that is either another human or is a machine — the observer does not know which. The observer is allowed to send questions, perhaps typed out, to the entity and by the replies received (also perhaps typed out) they are to determine if they are communicating with a machine or a human. If after a time they cannot tell which, then we must suggest that if it is a machine then it is at the very least imitating human intelligence.